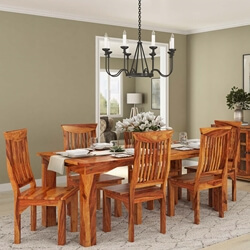 The Danville Modern Teak and Solid Wood Dining Table With 8 Chairs Set is handcrafted exquisitely to take your modern dining room to a whole new level of aesthetics while providing you with enough functionality. 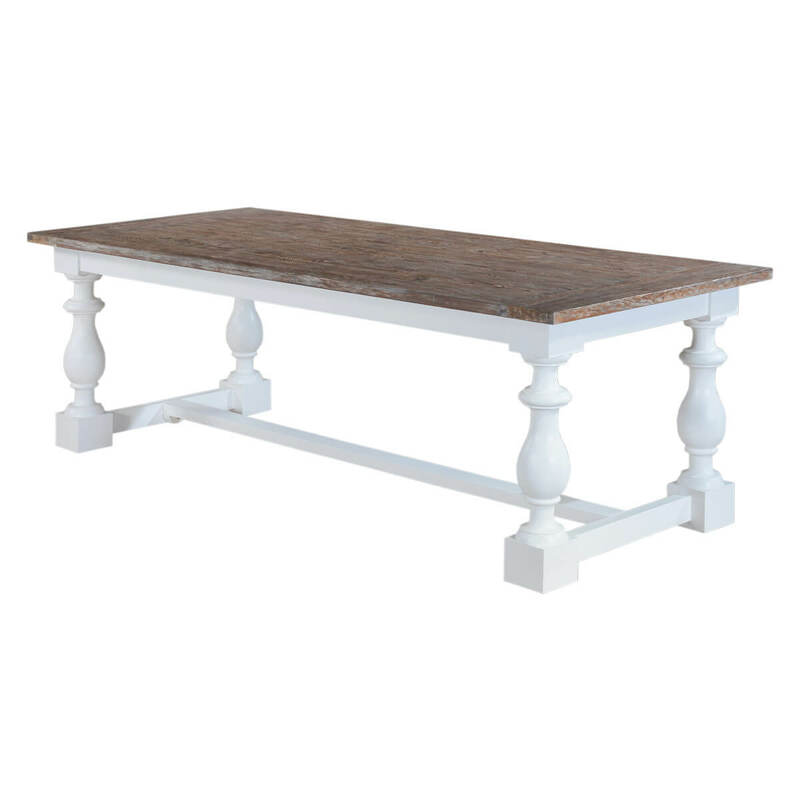 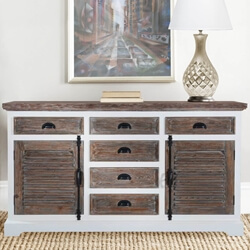 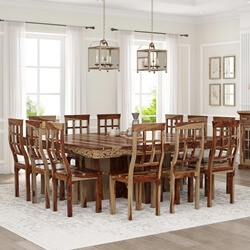 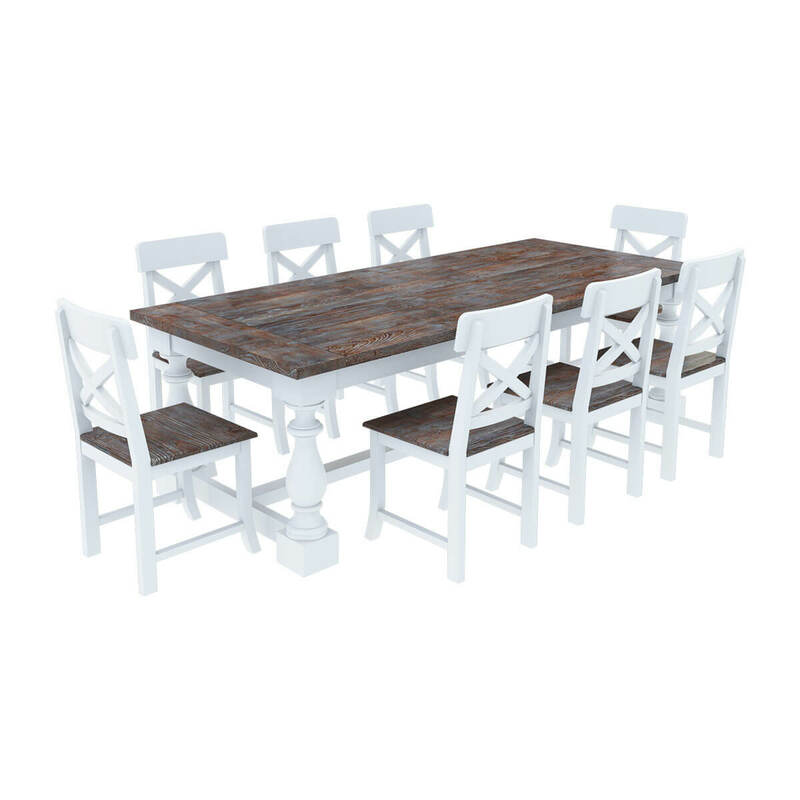 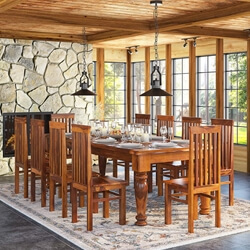 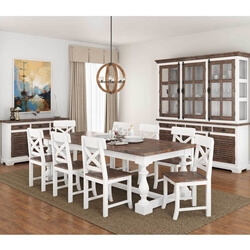 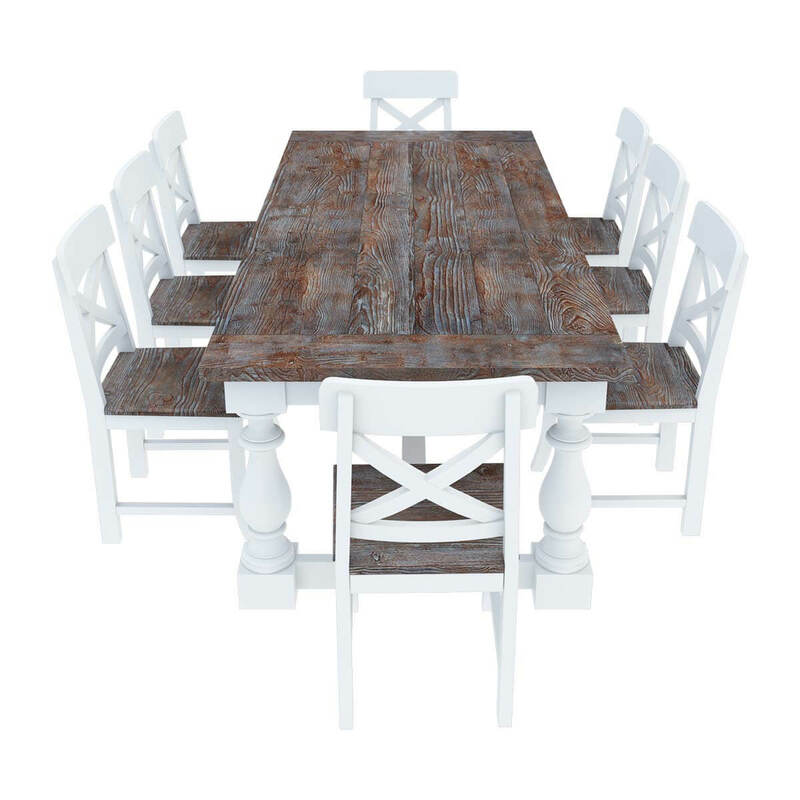 Beautifully blending the properties of reclaimed Teak and solid wood, the dining table features brown and white tones that go beautifully with subtle to brighter wall colors and furnishings. 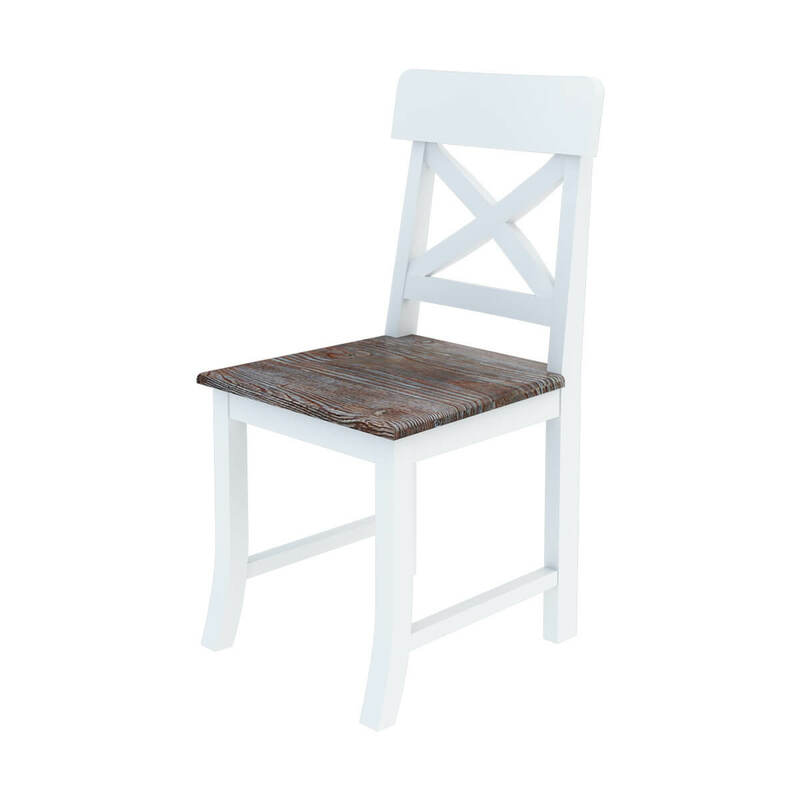 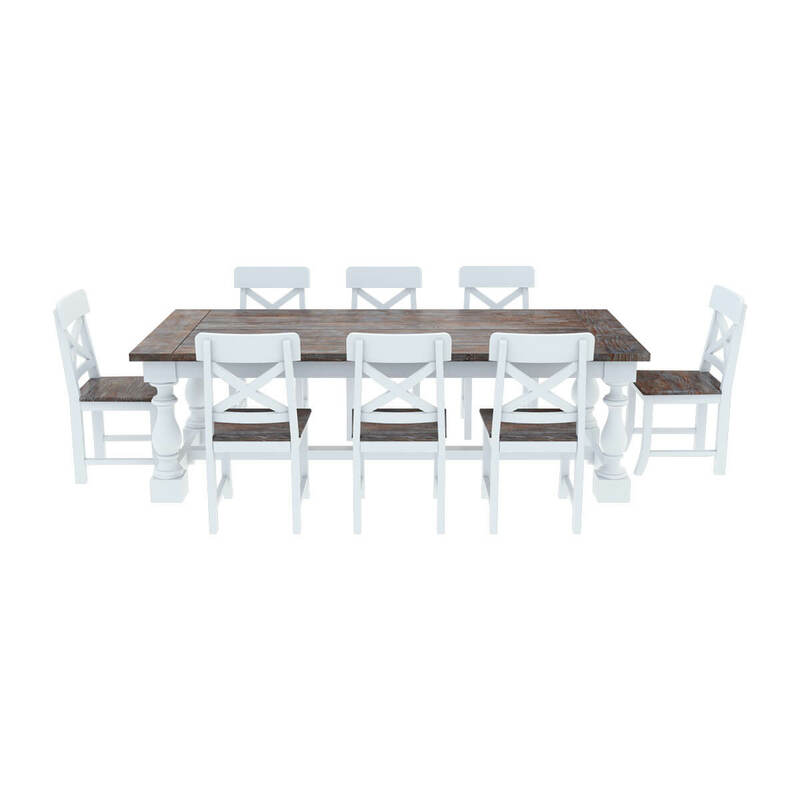 The dining table top and dining chair seats come handcrafted with recycled solid Teak wood while rest of the body finished in white are made of solid wood. 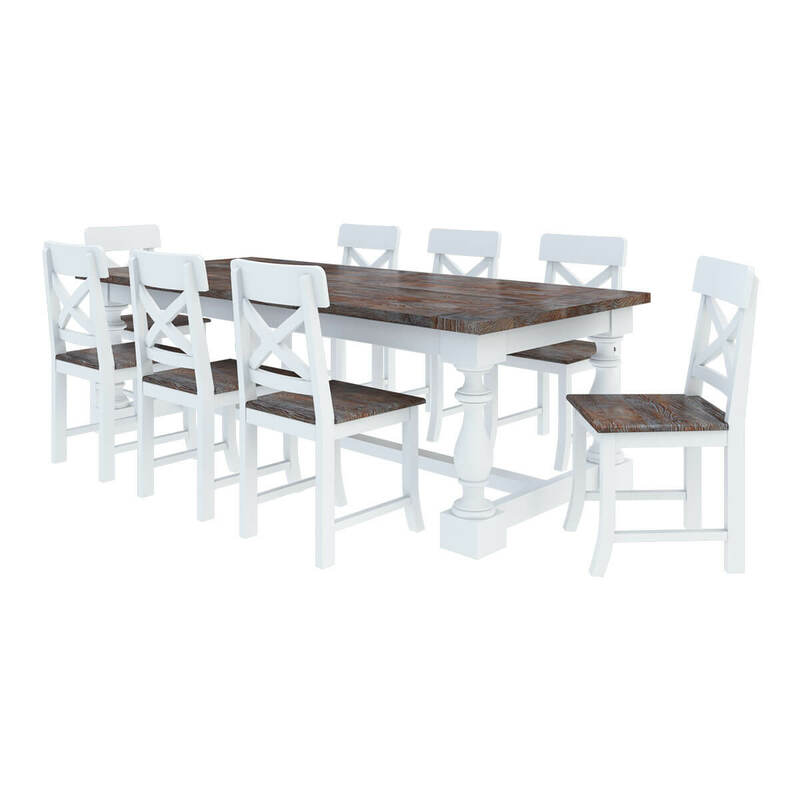 The cross back design of the chairs adds to its modern visual appeal. 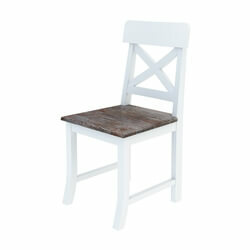 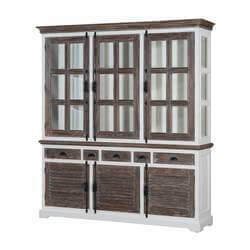 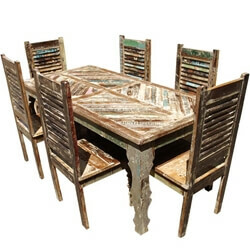 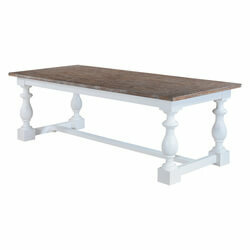 Materials: This stylish dining set is exquisitely handcrafted with reclaimed Teak and solid wood.